Built on the former site of the largest open cast tin mine in the world, The Mines Golf Course is the centerpiece of a resort complex stretching across 1,000 acres and encompassing five million square feet of interior space. Robert Trent Jones, Jr. was called in to design the Mines golf course as the condition of the land was so sorry that many thought that development was impossible. Trent Jones needed to do a lot of re-engineering to repair the soil and stabilize the property. 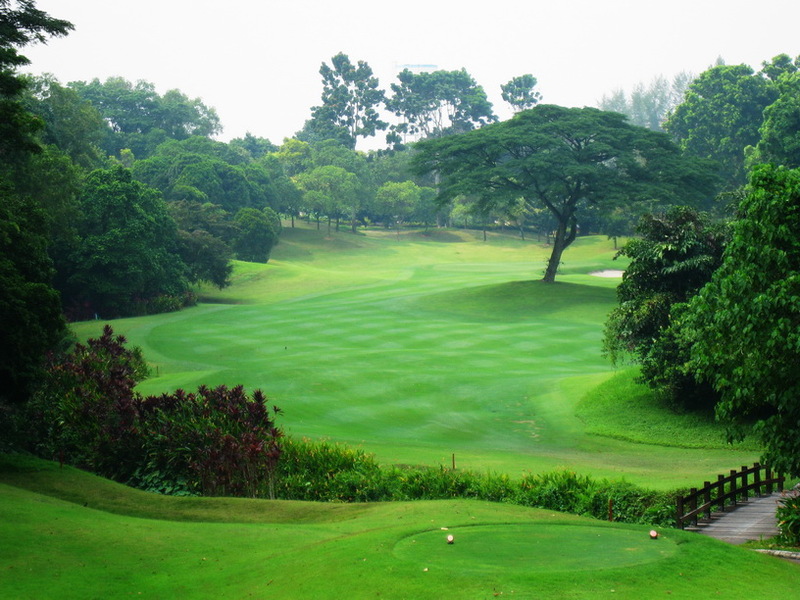 As such, the fairways are lined with a foot of sand to serve as a buffer against polluted soil and also to provide excellent drainage especial during the frequent monsoon rains. 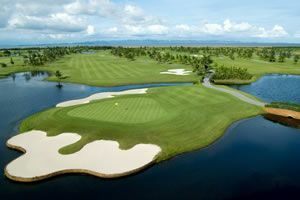 The Mines has won prestigious awards such as a Top 100 Course, #2 Course in Malaysia, a Top 10 Course in Asia. 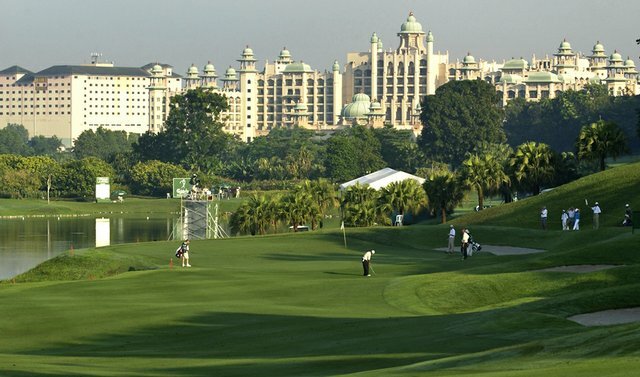 The Mines also hosted professional events such as the World Cup of Golf won by Tiger Woods in 1997 and the Kuala Lumpur Open (Asian Tour) event. 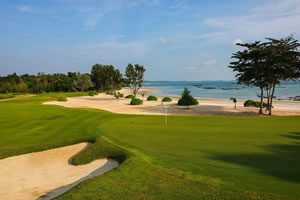 The front nine is laid out through natural and jungle bounded terrain, with occasional water hazards complementing the impressive bunkering, which can be unusually thick and protective around the excellent greens. Natural elevation changes are used to create some of the most memorable holes. Two such gems are the risk-reward, downhill, short par-4 6th (with a deep swale awaiting anything hit left), and the plunging par-4 9th with its knee-trembling tee-shot and panoramic backdrop. Perhaps the show-stealer on the front-nine is the par-3 2nd, played across a jungle-filled ravine, towards a wonderfully majestic tree, the roots of which appear to be more above than below ground. The jungle of the front-nine gives way to a lakeside back-nine, where many challenging holes play alongside the large Mines Resort lake (formerly the heart of the tin mine). An array of large buildings flank the opposite side of the lake, most impressive of these is the Palace of the Golden Horses, which is closest to the par-4 12th. Whether jungle-side or lakeside, the Trent Jones&apos; layout never ceases to challenge with the quality of presentation always impressive. 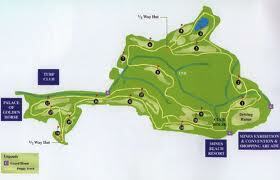 The Mines Golf is one of Malaysia’s best golf courses. Visitors must book this private members club through golf operators. Have you played golf at the The Mines Resort & Golf Club and took some nice photos that you would like to share with other golfers? Send them to us and we may upload them here. Thank you in advance!